The hands, the far off stare — Thinking about what was, what could have been, and what is no more. Melancholy never looked so fittingly splendid in ruby and creme. You defenitly must come back… we do have style! i can tell you more about him… he is pretty consistent with (t)his style, he wears the same outfit every day…and I meet him often on the streets. A conversation with this man would be most interesting…. This is just wonderful. 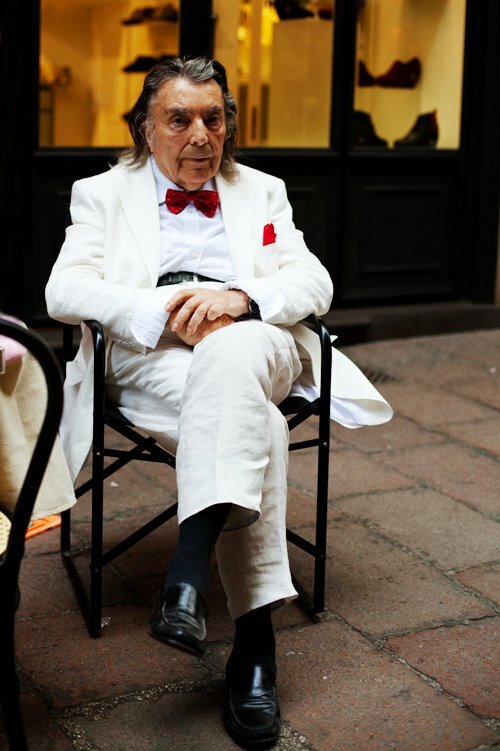 There's not many better sights than seeing an elderly man like this one have such grace and personal style…. he isn't just The Character – he's The Story. Bologna's a great place to hang out – my favourite city in Italy. Off the tourist trail, exceptional food, almost like a big country town. Wow! I lived in Bologna last year, and remember speaking to this man! He approached me one day on the street and started telling me his life story – he loves to write poetry and even recited several of his poems to me. He was very kind, and I would often see him on the streets, talking to whomever, and always dressed impeccably. 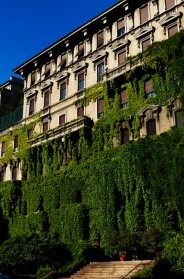 This picture reminds me of my wonderful time in Bologna – it really made my day! wow… i live very close to the "two towers"… and of course i've already seen the guy in the picture. i'll try to spot you (and your camera) around, then! If the world would have more of these characters…I would certainly be happy !! It is the best part of Italy – the Emilia Romagna region is unbelievable. WOW! I live in Bologna and I see that man almost every day walking around in Piazza Maggiore!! Few years ago he also approached me and started to tell me the story of his life…he's a poet if I remember correctly and he recited his verses to me!! Indeed – the most perfect region of Italy. I am glad that u like my hometown, characters like this are not that common in Hong Kong (my current home) especially sitting outdoor…. Hope you come back to Bologna again soon!